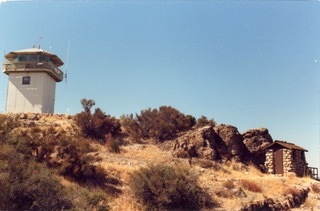 Chalone Peak Lookout was a state (Cal Fire) tower located within Pinnacles National Monument. Ownership was transferred to the National Park Service in 1990, however the NPS has not maintained it, and it is falling into disrepair. 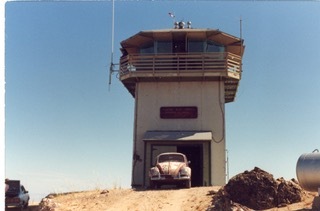 The tower also carries the name North Chalone Peak, and has been used as a condor monitoring station. 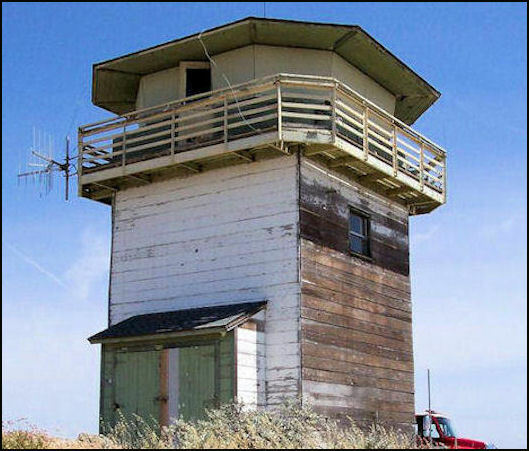 The California-South Chapter of the FFLA is in discussions with Pinnacles National Park regarding the tower’s future. The original tower constructed in 1931 of rock and wood. This one story cabin was burned by vandal in 1951. The current 16′ x 16′ octagonal wood cab sits atop a 20′ steel tower enclosed with aluminum siding. Built in 1952, the cab is the oldest of the revised 809R design in CDF’s collection. The revision features plate glass windows set on an angle to reduce glare. 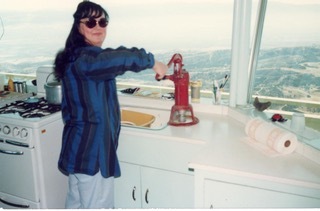 Carol Nutting served as lookout for 17 years.